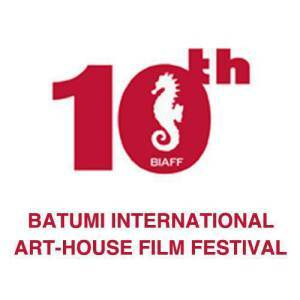 X BatumiInternational Art-house Film Festival which will be held in Batumi during September 13-20,2015 will present several new Georgian films as part of Georgian Panorama. 1. Line of Credit, NutsaAlexi-Meskhishvili, Georgia, 2014, 85 min. 2. I am Beso, Lasha Tskvitinidze, Georgia,2014; 92 min. 3. Solomon, Zaza Khalvashi, Georgia, 2015;70 min. 4. Brother, Thierry Grenade/Téona Grenade,France/Georgia, 2014; 94 min. 5. Somali Captives, Levan Adamia, Georgia, 2015; 60 min. – BIAFF internationla Feature film competitoinSection – – Brother Dejan, Bakur Bakuradze, Russia/Serbia, 2015,113 min. – BIAFF internatinla Doc film competition section – DoubleAliens, Ugis Olte,Latvia/Georgia, 2015; 60 min. 1. Osegavar,Tato Kotetishvili, Georgia, 2015; 8 min. 2. Preparation,Giorgi Tsilosani, Georgia, 2015; 20’18 min. 3. WasteLand, Levan Lomjaria, Georgia, 2015; 31’41 min. 4. Bear,Avtandil Chachibaia, USA, 2015; 10 min.